Pearson Fuels and the fueling-station retailer Chevron are teaming up for the grand opening of Santa Ana’s newest E85 station. To honor the occasion, E85 fuel will be sold for just 85 cents a gallon. Customers can also enjoy free food and beverages, as well as have the opportunity to learn more about E85 from a Pearson expert. In addition, Fuel Freedom Foundation representatives will be on hand to discuss the importance of fuel choice when filling up at the pump. The average price of gas in Orange County is around $2.65 per gallon. With E85 at just 85 cents per gallon, guests at the pump will be able to fill their tank with cleaner, American-made fuel for less than a third of the cost. E85 runs great in thousands of flex-fuel vehicles across Orange County and has many other benefits, too: It’s cleaner-burning, producing fewer toxic emissions that worsen health problems and harm the environment. Pearson Fuels and Fuel Freedom Foundation are teaming up to bring choice to the pump. During this event, there will also be free food, complimentary drinks and a contest to win a $50 Amazon gift card! 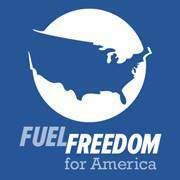 FOUNDATION: The Fuel Freedom Foundation is a non-profit, non-partisan U.S. organization working to break the world’s crippling oil addiction by opening the market to cleaner, cheaper, locally produced fuels. The Foundation seeks to create the market conditions that will enable cars to run on multiple fuels, clearing a path for cleaner-burning fuels to compete on an even footing with gasoline. For more information, visit http://www.fuelfreedom.org/. How do I know if my car can use E85 fuel? Try searching for the vehicle’s manual. to check your vehicle to see if you can fill up on E85. Great question!